*News 3 Midday - 12/11c...30minutes (Only Online) So, it's really doesn't count. There really isn't competition to WTVM. 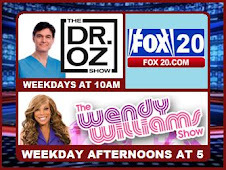 Only 2 hours and 5 minutes of news per day...that's terrible! I shouldn't even air any newscasts. 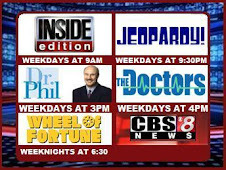 WTVM has over 2 hours in the morning (News Leader 9 Morning, FOX 54 Morning News), compared to what they have a day! They haven't had any weekend newscasts in a while, too! 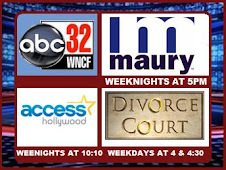 WRBL News 3 will no longer offer television newscasts at noon and 5 p.m. starting Monday, WRBL said Friday. 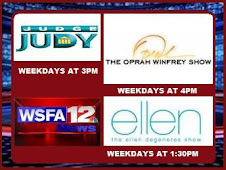 WRBL will shift its noon news report to the station’s Web site starting Monday. Viewers will be able to watch a taped webcast at www.wrbl.com at that time. Pickett said they plan to eventually do the webcast live. 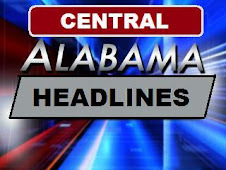 As for its 5 o’clock television newscast, WRBL will air in its place back-to-back episodes of “Two and a Half Men,” a CBS sitcom starring Charlie Sheen, Jon Cryer and Angus T. Jones. After these cuts, WRBL will have three newscasts each weekday at 6 a.m., 6 p.m. and 11 p.m. WRBL does not offer a news show on the weekend. WRBL is owned by Media General, a communications company with 24 daily newspapers, 19 network-affiliated television stations and more than 250 weekly publications throughout the Southeast. On Tuesday, Broadcasting & Cable magazine reported Media General eliminated 130 positions across the company, affecting television stations in Raleigh and Providence, R.I., as well as its TV-newspaper collective in Tampa. In recent months, the Richmond, Va.-based media company announced it would suspend the company’s match for employees’ 401(k) plans and implement a 10-day furlough program by the end of September. 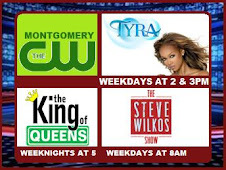 WRBL’s Pickett said in a phone interview Friday that the local station will maintain their staff levels despite the discontinuation of two of its news shows. Staffers should now be able to “devote all of their energies and resources” to WRBL’s three remaining television newscasts as well as the Web site, he added.